​ ​​DALLAS - Ulta Beauty plans to bring 500 new jobs to the Dallas area by 2018. The cosmetics and fragrance retailer is opening its new distribution center in southwest Dallas. 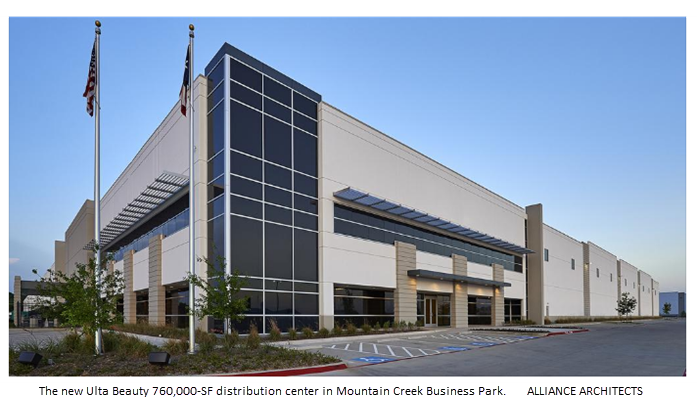 Ulta Beauty will start out with 280 employees in the 700,000-sf facility that is its largest distribution center in the country​. The warehouse will serve more than 450 of its stores plus e-commerce orders. ​See Dallas-Fort Worth Industrial Market Research​.